The man came and pumped our water with a loud noise like a waterfall. under our slate shelves. Then he pulled out the plants and one slate shelf. We didn’t have much water left. We hid together under the one slate shelf. Then he put in the nets. We showed how fast we could swim, twisting and turning, but gradually each of us fell into the nets, flailing and splashing. It was horrible whirling through the air. Fish like water. We love water. We breathe water. Water is our life. Now we are all swimming in a smaller pond. We don’t mind it. The pump is spraying up and we are together with most of our plants. We wait to see what happens. The human says she hopes to get a new fibreglass lining cast for The Pond. The video shows our new little pond and The Pond empty. Fish prepare to move. Your pond is leaking. Experts in ponds will put you in temporary housing until the pond is fixed or they make a new one. That will happen in an hour or so. We are sorry. You will be in temporary housing for a while. We have a new plant. When the food bearer put it at the bottom of the pond, we lined up to inspect it. But by the time she brought the camera, we were swimming around again. We don’t know if we like it or not yet. This summer has been so hot that most of our plants have died. We still have two plants on our shelves that have leaves and our Papyrus plants. Our waterlily is shooting up leaves, but something eats them before they get to the top of the water. Maybe we are eating them? The human keeps staring at the plant and wondering what to do. 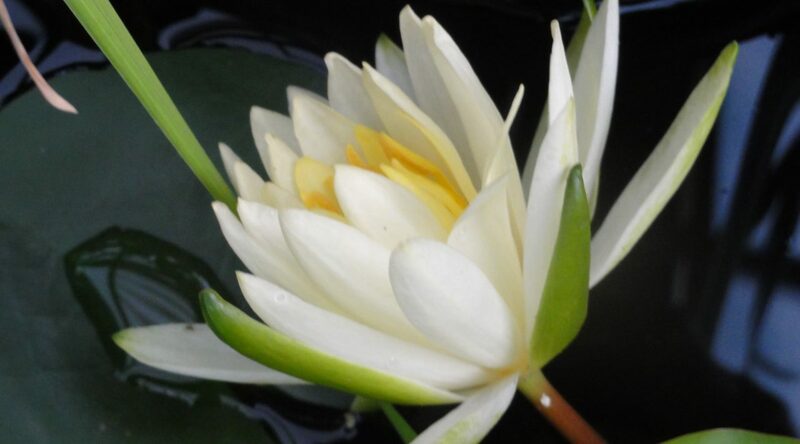 She even bought a new waterlily and it was okay for a while. Then the leaves started to disappear. But we are still feeding and playing. We will get the human to look at the pond and take a photo or two to upload. We had some new plants added to our shelves. Some of them drooped down and their leaves cleared the water until it was sparkling. We haven’t had a chance to tell anyone how they have grown, as the cat takes up most of the time and energy in this household. 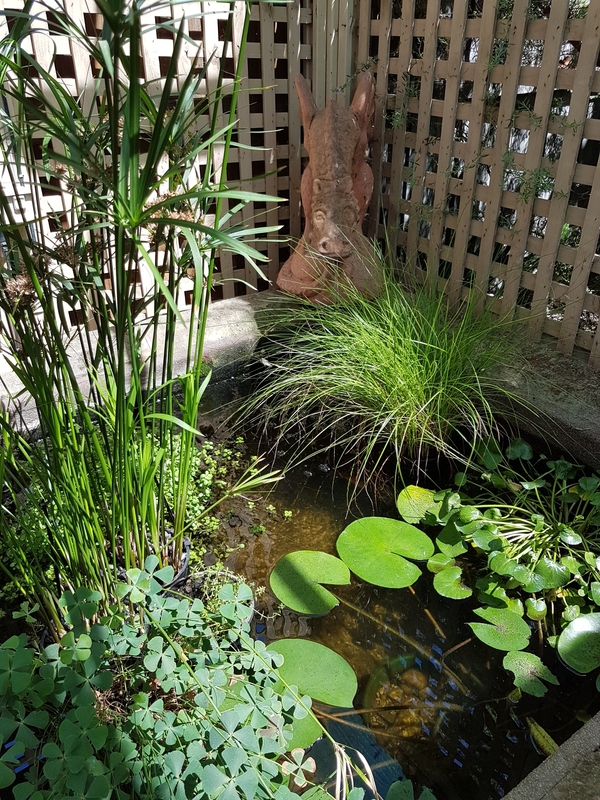 We had a pond makeover with new plants. We now have a papyrus forest to gaze up at while we swim. Some of the new plants are fast growing and made our water clear again.